Get a FREE care package, from Google,to be snail mailed to someone you love. 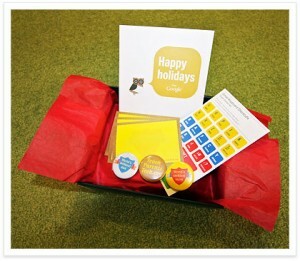 Care package includes a card, Gmail keyboard shortcut stickers, 3 buttons and custom Post-it notes. Allow 3 weeks for delivery.